So much light! We’re presently up to almost fifteen (15!) hours of daylight up here in Anchorage, and we’re gaining a giddy five minutes a day. 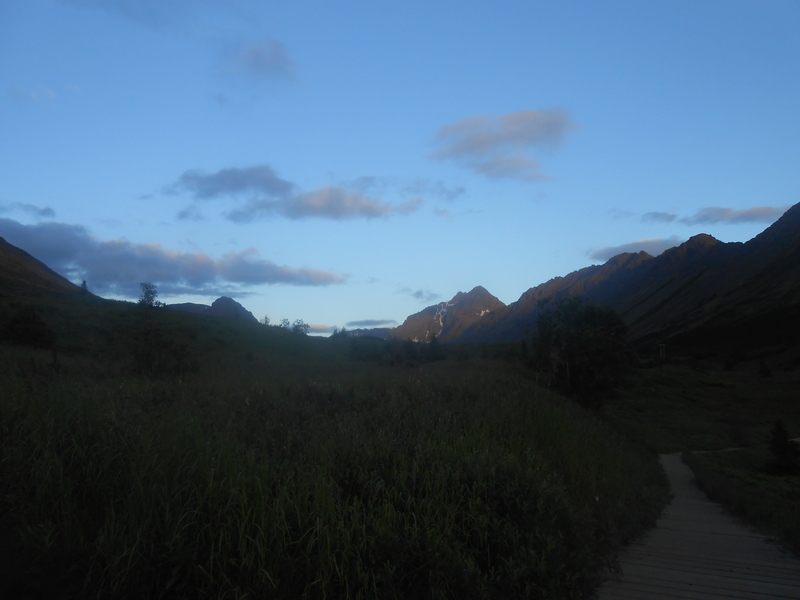 Soon it will be light past midnight and we’ll be out hiking and biking all hours of the night and then dragging ourselves around in an exhausted heap during the daytime hours because this is Alaska and summer is short and you’ve got to live it while you can. 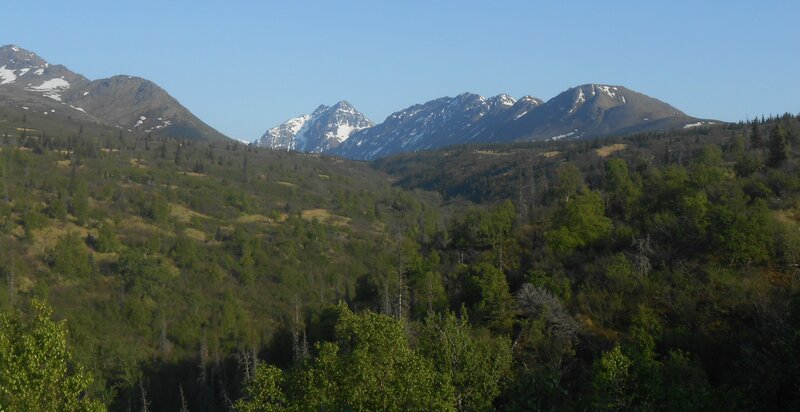 Middle Fork Trail run at around 10 p.m. last summer. Midnight trail run. Isn’t the light gorgeous? And speaking of light (well, this has nothing to do with light but still, it was such a good opening line that I couldn’t resist), I’m loving Inside Out Girl by Tish Cohen. The writing is smooth, with a nice, witty edge. The voice is strong and the characters so lovable and flawed that I want to reach inside the words and give them all a hug. I can’t remember when I’ve enjoyed a book this much. I’ll write a review when I finish but for now I’m lingering inside this world, I’m reading slowly because I don’t want to leave, don’t want to lose my hold on these people I’ve grown to love (especially Olivia). Other news: I was feeling so damned heady because I hadn’t received a rejection notice for two weeks (two glorious weeks!). And then wham!, I was slammed with one on Sunday. It seems wrong, doesn’t it, to ruin the end of one’s weekend in such a way. But alas, editors are people and people have to work and weekends are fair game. So, to cheer myself up, I started reading quotes by other writers (and by “other” I mean more-famous-then-I’ll-ever-be writers). Some were so good that I had to share. I love the last quote. I’m still waiting for editors to call my agent and ask that I write a novel for them, lol. Cheers and have a great week. You should be getting fan letters from editors 🙂 You have a great week, too.